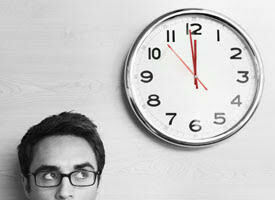 Many employees are wrongfully led to believe that they are not entitled to overtime. Some years later, often when they are let go and discuss with an employment lawyer, these employees realize their entitlements. Companies defend, saying that they can only sue for two years, not their entire employment. But the Ontario Court of Appeal precedent appears to suggest otherwise. All civil claims, with very limited exceptions, are subject to a two year limitation period pursuant to the Limitations Act 2002, S.O. 2002, c. 24, Sch. B.. Claims brought after two years are statute barred, meaning any potential claims that could have existed will not be successful simply due to the passage of time. For employees, this means that all claims for outstanding wages, public holiday, vacation, overtime, notice and severance pay, must be brought within two years of the date the damages became payable. Often this is not a concern when an employee is wrongfully terminated, as the tendency is to seek legal advise shortly after the termination date, far before the two year limitation. The same cannot be said for other entitlements such as vacation, public holiday pay and overtime. Employers that do not pay their employee’s proper entitlements under the Employment Standards Act, 2000 (“ESA”), often do so throughout the entire employment relationship. This may lead to a limitation issue when employees attempt to seek the outstanding pay from the beginning of their employment. One important qualification in order for the two year limitation clock to starting ticking is discoverability. The person who has a potential civil claim must “discover” that said claim exists. Therefore, if an employee is unaware that they are owed overtime pay, public holiday pay, vacation pay, dating back more than two years, is the two-year clock ticking? Often the limitation period is seen as extinguishing these claims, however the case of Evangelista v Number 7 Sales Limited, 2008 ONCA 599 (“Evangelista” ) may help employees who find themselves in this situation. In Evangelista, the employee after his termination, brought a claim for wrongful dismissal damages in 2004 which included a claim for outstanding public holiday and vacation pay from 1996 to 2003. Under the ESA, the employer was required to pay public holiday and vacation pay but failed to. The majority of this claim, from 1996 – 2002, was clearly outside of the two year limitation. At trial the Judge awarded the employee outstanding public holiday pay and vacation pay for the entire period of 1996 – 2003, notwithstanding the limitation period. On appeal the employer attempted to argue this violated the two year limitation, however the Ontario Court of Appeal stated that the employee discovered he was owed this outstanding pay in 2003 when the employer made the proper payment for the first time. Thus when the employee filed his claim in 2004, he was clearly within the two year limitation from the date he knew he had a claim. This case highlights the importance of knowing your rights as an employee, and your entitlements under legislation. It also points out the Courts may be willing to take into account that not all employees know their rights, and are willing to award entitlements they deserve. Although this case only dealt with public holiday and vacation pay, it seems the same logic can apply to other claims, such as overtime pay. It is important to note that past results do not necessarily guarantee future results and each case in unique on it’s own merits. If you have a question about your rights and entitlements, or encounter an issue in an employee relationship it is best to contact an Employment Lawyer so you can chose the best course of action.